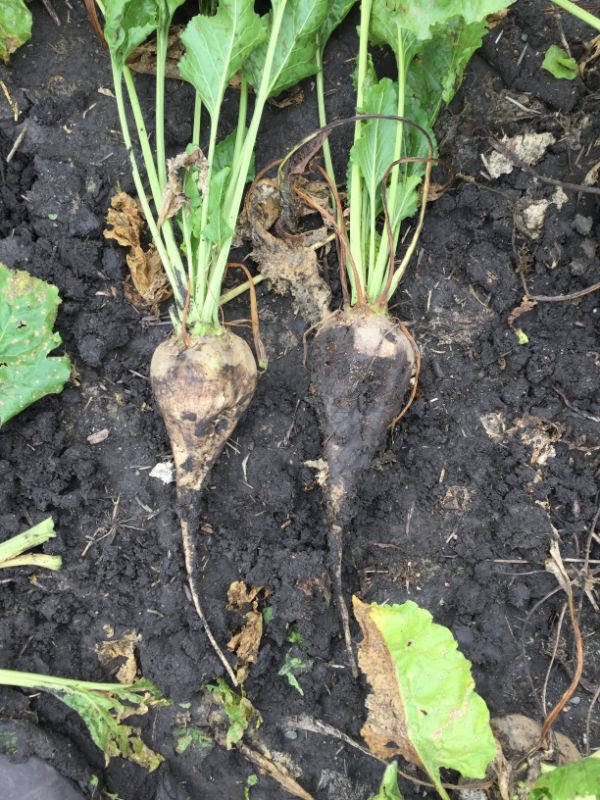 Sugarbeet growers who used AZteroid FC in 2018 reported less rhizoctonia, better stand, higher quality and more yield. In a recent survey of customers by Vive Crop Protection (the maker of AZteroid FC fungicide), 90 percent of respondents said they mixed AZteroid FC with a liquid fertilizer, and 90 percent gave the mixing of the product with fertilizer either a 4 out of 5 or a 5 out of 5 rating (where 1 was poor and 5 was excellent). In addition, 98 percent of 2018 customers plan to use AZteroid FC in 2019, and over 90 percent of growers who used AZteroid FC in 2018 would recommend it to a neighbor. For more information on the study, email contactus@vivecrop.com. AZteroid FC treatment on left, untreated on right.